SPEKTRUM DX6i 6-Channel DSMX. Computer Transmitter System. 5 point heli throttle and pitch curves. Boxed Excellent Condition. Digital trims. Normal, stunt and hold heli modes. SPEKTRUM DX6i 6-Channel DSMX. Computer Transmitter System. Trainer mode. Throttle cut. Digital trims. Used Spektrum dx6i transmitter in excellent condition with no signs of wear and tear. Works perfectly but selling due to getting bored with the hobby. I will be more than willing to answer any questions on the item listed. Spektrum DX6i Radio Transmitter. Great condition. Dispatched with Royal Mail 1st Class. Spektrum Dx6i transmitter and programmed Spitfire with electric landing gear. Ready to fly. Flown once by a professional flyer. Purchased two years ago brand new with the plan of learning how to fly, however I never got the time to commit. Any questions please get in touch. Cash on collection. DX6i left hand stick /gimbal unit. Spektrum radio spare part. Throttle rudder. Good left hand gimbal to fit Spektrum DX6i radio. Throttle / rudder on mode 2. This is a DX6 gimbal with very little use that I have fitted a DX6i plug to. It also benefits from being ballraced as opposed to having the bushes of the standard DX6i gimbal. Spektrum DX6i self centre kit for throttle stick. Spring return. Parts needed to enable the throttle stick on the original style DX6i to be centrally sprung. 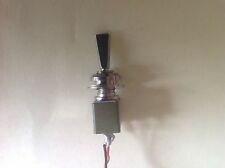 Also fits and works in the DX9 transmitter, I’ve had one in mine for over a year. Good working screen from DX6 transmitter. The Spektrum AR410 air receiver is a full-range, 4-channel sport receiver with DSMX/DSM2 compatibility and a compact footprint that’s streamlined to fit in a wide range of models. No more bind plugs! Item #:SPMAR8000 :DX6I. MPN SPMAR8000 :DX6I. Radio(s)/Reciv​er(s). Key Features Nitro Engines/Parts. Helicopter/Par​ts. UPC Code:Does Not Apply. Warranty:Full Manufacturer Warranty. DX6i right hand stick /gimbal unit. Spektrum radio spare part. Aileron elevator. Good right hand gimbal to fit Spektrum DX6i radio. This is a DX6 gimbal with very little use that I have fitted a DX6i plug to. It also benefits from being ballraced as opposed to having the bushes of the standard DX6i gimbal. Spectrum DX6i right hand stick gimbal unit. Aileron elevator. Spectrum DX6i right hand stick gimbal unit. Aileron elevator.. Condition is Used. Dispatched with Royal Mail 1st Class. Spectrum DX6i left hand stick gimbal unit. Throttle rudder. Spektrum DX6i LCD Screen. Good working order. AR6210 6-Channel DSMX DSM2 Receiver Compatible DX6I DX9 DX18. 1 piece AR6210 6-Channel DSMX DSM2 Receiver. - Modulation: DSMX DSM2. - Channels: 6CH. Just buy it! Don't just think about it! Size Chart. Spektrum DX6i LCD Screen. Good working condition. Spektrum Tx spare parts. Good working LCD screen from DX6i transmitter. As new condition and works perfectly. Spektrum DX6i trim boards with switches. Spektrum radio spare parts. Trim boards for one stick unit on the DX6i. Plug and play. 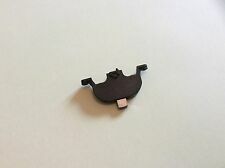 Outer drum from the original style Spektrum DX6i stick unit. Ideal if your pots are still ok, but you have cracked or snapped your plastic axle. Central drum from the original style Spektrum DX6i stick unit. Ideal if your pots are still ok, but you have cracked or snapped your plastic axle. Spektrum DX6i trainer jack - Spektrum spares. 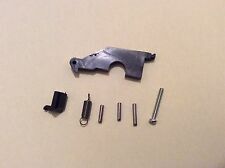 Spektrum DX6i trim lever rocker. Working Perfectly. Spektrum DX6i trim lever rocker. Working Perfectly. Condition is Used. I have these in my DX6i and they work perfectly. This is a modified DX6 trim rocker. Spektrum DX6i scroll wheel menu roller. Excellent condition. Spektrum DX6i roller. Excellent condition. Type: AR9020 DSMX high-speed 9-channel receiver. 1 Piece AR9020 9-Channel Receiver. - Used for aircraft with capable transmitters JR, Spektrum DX6I DX18 DX8 DX9 DEVO10. - Channels: 9CH. - Modulation: DSMX DSM2. Type: AR9020 DSMX high-speed 9-channel receiver. 1 Piece AR9020 9-Channel Receiver. - Used for aircraft with capable transmitters JR, Spektrum DX6I DX18 DX8 DX9 DEVO10. - Modulation: DSMX DSM2. - Modulation: DSM2/DSMX. Type: AR8000 DSMX high-speed 8-channel receiver. 1 piece AR8000 8-Channel Dsmx Receiver. - Used for aircraft with capable transmitters JR, Spektrum DX6I. - Modulation: DSMX. - Modulation: DSM2/DSMX. Type: AR9020 DSMX high-speed 9-channel receiver. 1 Piece AR9020 9-Channel Receiver. - Used for aircraft with capable transmitters JR, Spektrum DX6I DX18 DX8 DX9 DEVO10. - Modulation: DSMX DSM2. People always bought together with. JR Spectrum CM410X 4 Channels DSMX DSM2 Receiver DX6I DX18 DX8 DX9 DEVO10Was£12.20 x 2 Price:£7.32 X 2. - Type: CM410X DSMX high-speed 4-channel receiver. 2 Pieces CM410X 4-Channel Receiver. - Used for aircraft with capable transmitters JR, Spektrum DX6I DX18 DX8 DX9 DEVO10. Type: AR8000 DSMX high-speed 8-channel receiver. 1 piece AR8000 8-Channel Dsmx Receiver. - Used for aircraft with capable transmitters JR, Spektrum DX6I. - Modulation: DSMX. People always bought together with. Spektrum DX6i front case , shell .